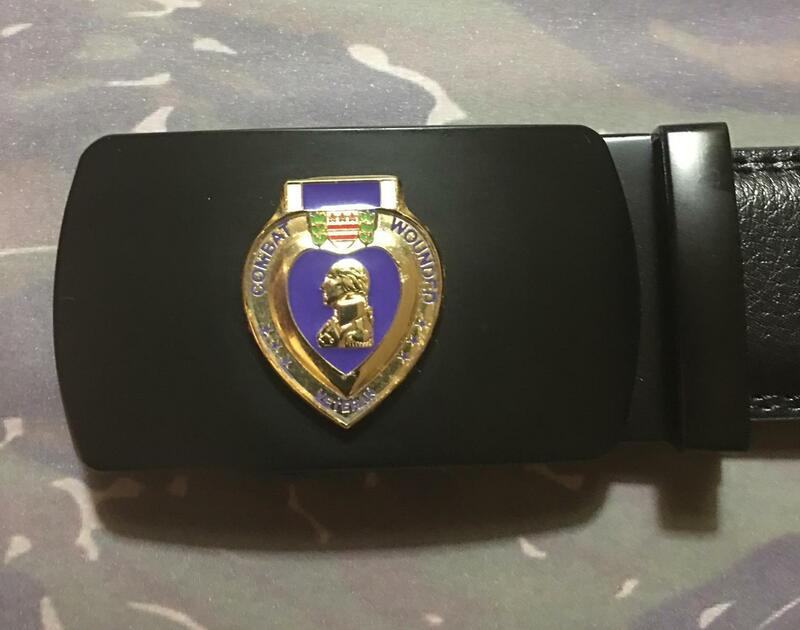 Our very own PURPLE HEART ratchet belt/buckle. If you don't know what a ratchet belt/buckle combination is, let us explain...first, there are NO holes in this belt. 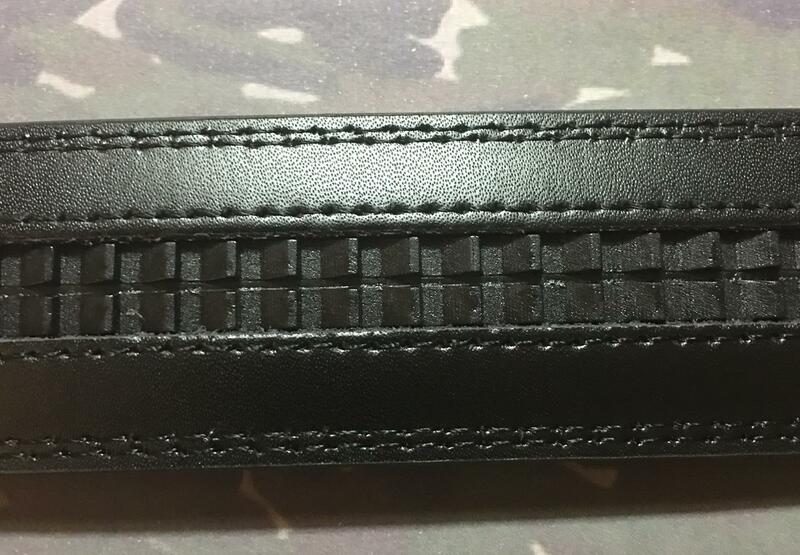 Our belts (leather) are 56 inches in total length with the buckle attached...that's 56 inches from end to end. You customize the belt yourself by cutting the length you need for a perfect fit. 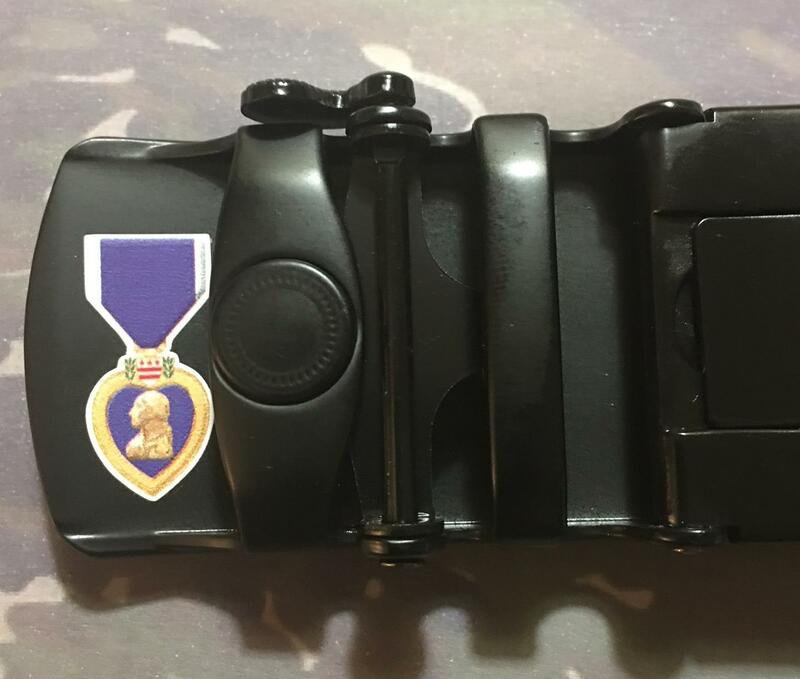 The belt is black leather with a black matte finished buckle and mounted with our PURPLE HEART custom pin! Wear this belt as an everyday belt or for that special occasion. 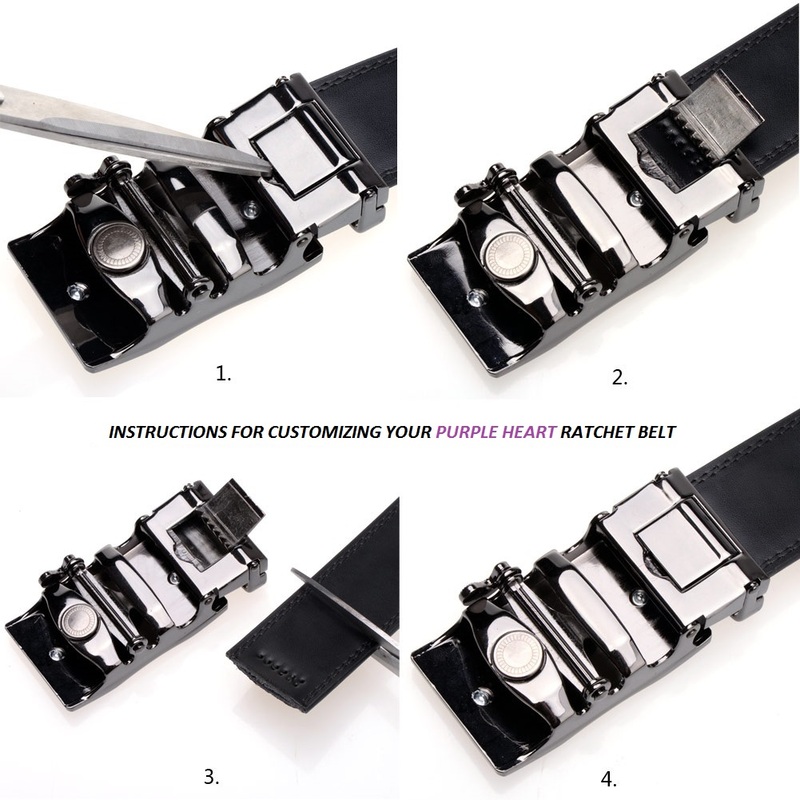 Either way, you're sure to get very positive comments...remember, you can only get it here at LZ NAM, the designer of this fantastic PURPLE HEART ratchet belt/buckle. Belt and buckle come in the color black only.